Employees are one of the most important stakeholder groups for all companies. CORT, a Berkshire Hathaway company, tasked Largemouth with ongoing communication to its more than 2,000 employees across the United States and United Kingdom. Largemouth launched CORTtalk, a monthly e-newsletter highlighting promotions, company news and serving as a popular method to maintain a personal connection with CORT employees. To meet the evolving needs of employees and share trends in communications, Largemouth helped CORT transition internal communications from monthly e-newsletter to its new internal website, InSite, which provides a centralized location for all company news and resources. Largemouth advised CORT on the layout and content of Insite and now constantly works with CORT to develop fresh content and stories about events and news taking place throughout the country at CORT’s 100 offices and showrooms. 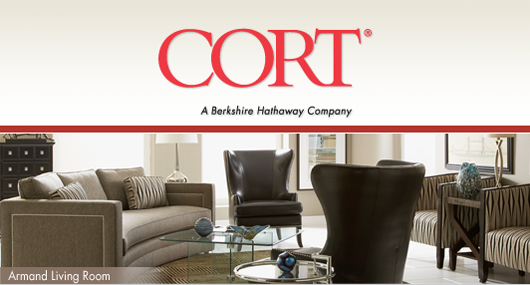 CORT employees are now in-the-know with a centralized resource and timely articles. Largemouth focused on developing a corporate communications strategy that would impact CORT employees in their daily work lives, using employees in CORT’s districts and corporate offices as a resource to create meaningful stories. Working directly with CORT employees and company leaders, Largemouth develops stories to highlight important news and best practices. With Largemouth, CORT ensures its employees are in-the-know and are delivering CORT’s brand promises to customers. Effective internal communication not only serves as a tool for managers and employees to share information, but it can also help companies develop an engaged workforce. CORTtalk and InSite help CORT’s employees see exactly how their daily work is impacting the overall business, thus motivating them to better serve their customers. In addition, by working directly with CORT’s employees to publish content about events that they planned or donations they've made, Largemouth helps individuals across all levels of the company showcase their efforts towards making CORT an industry leader. Copyright © 2019 Largemouth Communications | All rights reserved.